If you ever wondered why the Dow Jones has rallied when all these domestic forecasters predict the collapse of the dollar and the Dow, the simple truth is they are so biased and married to this scenario of 1929 that they cannot see the nose in front of their face. They fail to grasp that history is like lightening – it NEVER strikes twice in the same spot the same exact way. The number one rising concern in Japan is national security. This is what is forcing capital to leave and to invest in the ONLY place capable of absorbing huge amounts of money – USA. Europe is hanging together by a shoe-string. If Merkel loses in September, forget it – the Dow will soar to record highs going into 2015.75 and the dollar rally will wipe out every dollar bear on the street who only look at domestic issues. There will be NO PLACE to put money but the USA – NO PLACE! The reason the Dow rose when the Japanese yen fell is all about capital flows that are being driven by national security fears. Now, the Japanese Defense Ministry said that two Russian fighters entered Japanese airspace in Hokkaido on Thursday, local media reported. The Japanese government has lodged protest on the issue with Russia, Japan’s Kyodo News Agency said, citing the country’s foreign ministry. The incident is the first one since February 2008 and immediately followed the remarks made by Japanese Prime Minister Shinzo Abe on the day that Japan will promote talks with Russia to resolve territorial dispute between the two countries. Japan and Russia are in quarrels on a series of islands north of Japan’s Hokkaido. The islands were called as the Southern Kurile in Russia and the Northern Territories in Japan. So here we have Japan in land disputes with China and Russia, as well as Taiwan and Korea. As politicians try to pretend they are tough, they are sending capital out of Japan and that is critical to the capital flows. 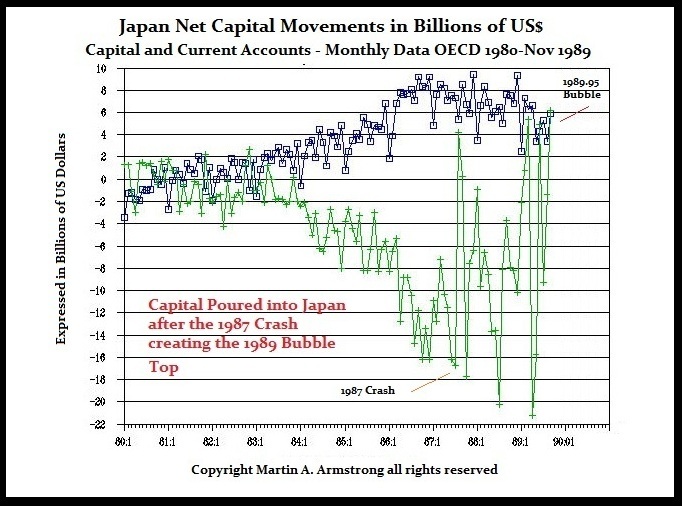 It was the US and the formation of the G5 with the stated purpose to force the dollar down by 40% from 1987 that created the 1987 Crash in the US as capital fled back to Japan and that concentration created the 1989 Bubble top in Japan. 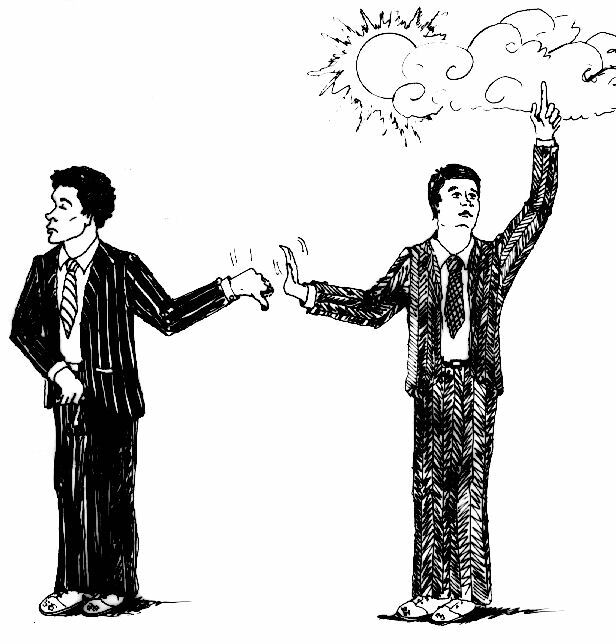 If you do not understand the capital flows are the real movers and shakers, you will lose your pants, shirt, and your sanity. In Japan, domestic capital that remains behind will shift to the Nikkei and this will cause rates to rise. Every uptick in rates in Japan will threaten the Japanese banking system, which is loaded to the gills with government bonds since nobody was willing to borrow to create new ventures in Japan. We have been warning that the Sovereign Debt Crisis would begin in Europe, then spread to Japan, and only then at the end of everything will we see it hit the USA come 2016. So for the dollar bears and Dow bears, they will be consistently wrong for they never look at the world – only 1929 scenarios domestically. We will look at the debt levels and the capital flows at the upcoming Sovereign Debt Crisis Conference on March 16th in Philadelphia.